Are you trying to get rid of the plastic in your office? We have the perfect solution! Our Grizzli 8 oz tumbler is the perfect size for coffee and will keep your coffee hot for up to 5 hours. It will also keep your drinks cold for up to 15 hours. 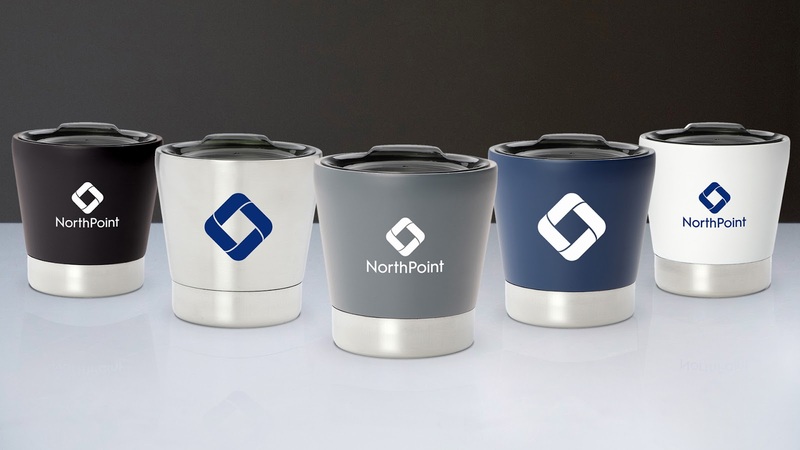 The perfect way to have your brand floating around the office! The Blare Bluetooth Speaker not only holds your 15" laptop but will also allow you to take your music with you anywhere you go. 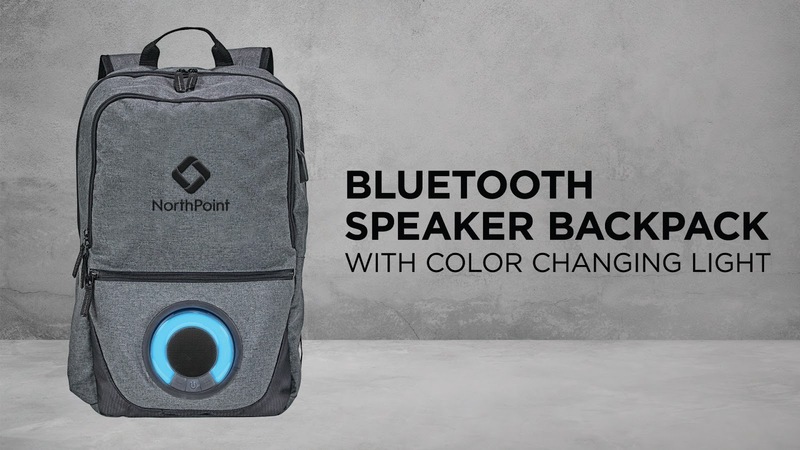 The backpack has a removable Bluetooth speaker that lights up while playing music. Playback time for the speaker is 2-3 hours with the light ring and 4-5 hours without it. 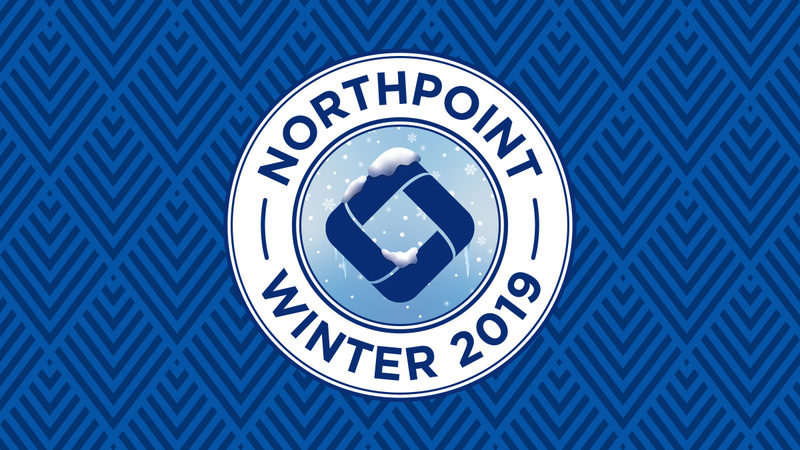 don't miss out on this amazing duo! 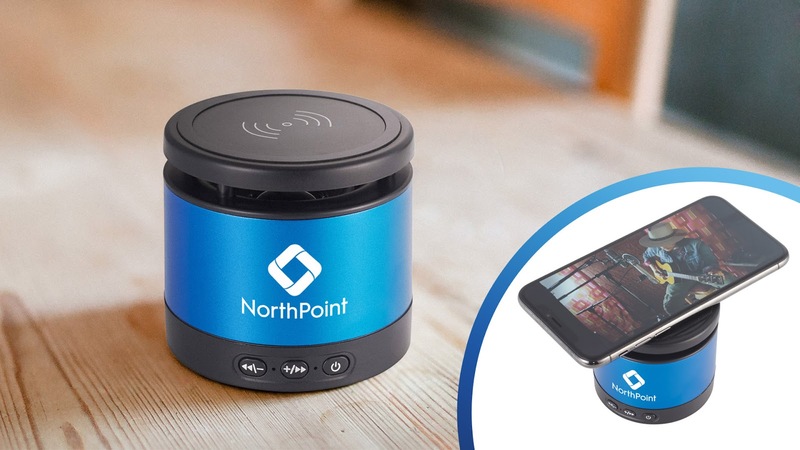 We have combined our metal Bluetooth speaker and wireless charging pad into one convenient piece for you to hand out! the speaker has premium sound quality and the top part of the speaker is a wireless charging pad that can charge any wireless charging enabled device. These 2-in-1 speakers are going to be a hit around the office! 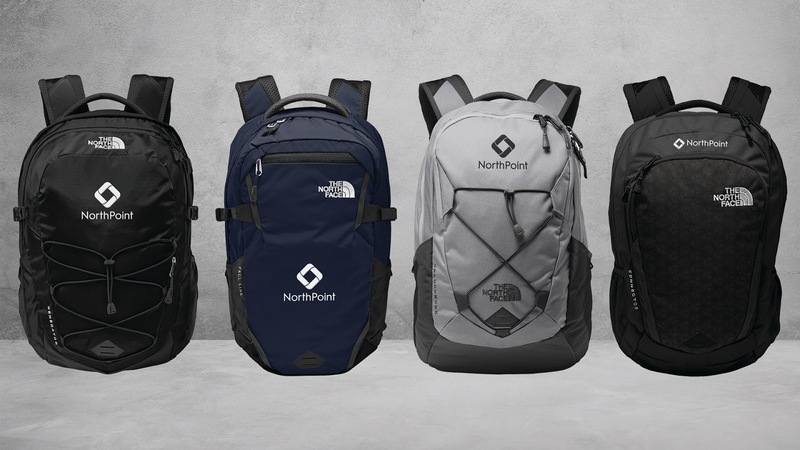 We are so excited to introduce our brand-new line of The North Face backpacks! Introducing five different styles that are perfect for carrying your laptop back and forth to work every day or can be used for your weekend activities. Your employees and clients will be sure to love this brand name backpack!